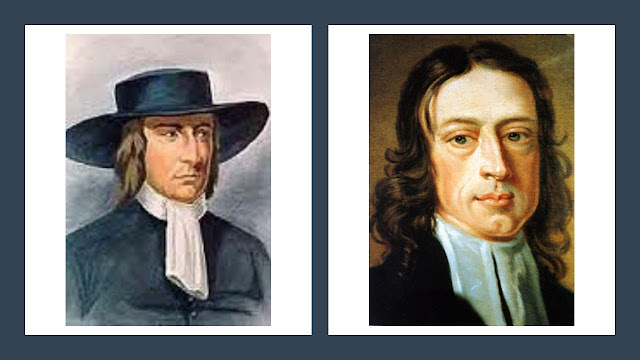 ‘N’ is for Niclaes and the Family of Love – The Missing Link between Anabaptists and Quakers? The Family of Love (or Familists) was a sect founded by Hendrick Niclaes (1502-1580) who was born in Munster, Germany to a Catholic family and became influenced by Radical Reformation ideas (Williams 2000, p.724). Initially Niclaes and his followers were active in Germany and the Netherlands but by the late-16th century, groups of Familists had also developed in England. The evidence suggests that they were later absorbed into the emerging Quaker movement. Niclaes questioned whether human sin had actually been improved by the coming of Christ. He came to the view that the destruction of sin by an imitation of Christ’s passion was what was required for humanity to be restored to a perfect state of godliness. He therefore believed that the basis of true righteousness was sanctification in Christ. In this, he appears to have been influenced by the Dutch/Low German Spiritualist Anabaptist David Joris (Williams 2000, p.724). Central to all Niclaes’ thought and underlining all his writings was his insistence on actual righteousness and a physical or experiential holiness, as contrasted with the imputed or forensic righteousness of by now normative or classical Protestantism (Williams 2000, p.726). This was therefore a belief based on experience. George Williams suggests that “Niclaes rejoiced in his experience of divinization and his call as a prophet to communicate the gospel of spiritualisation through divine love” (Williams 2000, p.725). Like the Lollards and the Anabaptists, the Familists rejected predestination, emphasised freewill and attached a high value to works rather than faith alone. Christopher Hill suggests that this represented a sort of pre-Arminianism (Hill 1977, p.72). For Familists the word ‘Christ’ was a metaphor for the divine spark which exists in every person (Hill 1977, p.73). They believed that, through Christ all could experience a spiritual resurrection in this life (Williams 2000, p.1211). Although the groups that Niclaes established were structured along the lines of a hierarchical family, he did recognise the importance of the inspired utterance of every believer in worship (Williams 2000, p.726). Like other Radical Reformation groups, anticlericalism was a key aspect of the Familist view. They rejected whole established ecclesiastical edifice as anti-Christian, including tithes and the state-church system. They asserted that the layman was just as good as a parson and were therefore hostile to the universities as training centres for the clergy. Instead they were strong advocates of ‘mechanic preachers’ who were empowered by the Holy Spirit. These are positions that they share with other groups such as the Lollards, the Anabaptists, the Levellers and the Quakers (Hill 1977, p.71). The Familists were opposed to both the sacramental and sacerdotal aspects of mainsteam Christianity, using the Bible to criticise the ceremonies and sacraments of the church. They denied that some places were more sacred than others and argued that worship and prayer could take place anywhere (Hill 1977, p.71). They asserted that God’s Spirit was available in all places and not especially in church buildings or the bread and wine of the Eucharist (Hill 1977, p.74). Like Thomas Muntzer and early Anabaptists such as Hans Denck the Familists emphasized the authority of the Spirit of Christ over that of the letter scripture. This is seen again in later radical groups such as the Grindletonians, the Diggers and the Quakers (Hill 1977, p.75). Niclaes and the Familists appear to have adopted an allegorical interpretation of the Bible. They therefore understood the whole Christian myth as a description of the experiences and conflicts which take place within the believer. In this sense, heaven and hell were not regarded as real places but rather states of mind (Hill 1977, p.75). When apprehended by the authorities Familists, like the Lollards before them, tended to recant publically to avoid persecution but retain their beliefs inwardly. Christopher Hill has suggested that this reflected their dislike of all established churches, whether Protestant or Catholic (Hill 1977, p.70). Faced with Elizabethan persecution in late 16th century England Familists went underground or outwardly conformed to established church practice (Williams 2000, p.1211). Because they regarded the inward and the spiritual as more important than the outward and the physical, this seems to have been a characteristic of most radical spiritualist groups during the Reformation. They tended to simply disappear from view. In his book The Radical Reformation George Williams argues that the English Familists represented a transitional stage between evangelical Anabaptism and the completely nonsacramental Spiritualism of Quakerism. It does seem to be the case that a number of early Quaker recruits came from Familist groups particularly in the areas of Norfolk, Suffolk, Cambridge and Essex (Williams 2000, p.1209). During the 17th century they seem to have been absorbed by the emerging Quaker movement (Williams 2000, p.1211). We have seen that in terms of their anticlericalism, spiritualist Christology, pneumatology, opposition to sacramentalism and sarcedotalism and approach to scripture, Familist beliefs had a great deal in common with those of the early Quakers (although early Friends firmly rejected Nicodemism and retained a public witness in the face of persecution). In addition, Familists married and divorced by simple declaration before the congregation which could well have been the basis of the later Quaker practice (Hill 1977, p.75). For these reasons Niclaes and the Family of Love may represent the missing link between the various spiritualist Anabaptist groups that emerged during the sixteenth century European Radical Reformation and the Quaker movement that developed in England during the mid-seventeenth century. 1. The Kingdom of God is to be found within us all. It is here that you will find Christ who can liberate you from sin. There is therefore no point trying to find salvation through any human authority. 2. Patiently pay attention to Christ within you, for here is the power that can crucify your old fallen self and raise up a new creation that is free from the ways of the world and in harmony with God. 3. When Christ appears within people and raises them to new life they overcome the ways of the world. 4. There is no need for human masters or teachers. God teaches his people himself so pay attention to this teaching and understand the way of God.